Along with the pipeline construction, a construction of fiber-optic cables (FOC) was also carried out at the end of 2017 in order to enable the acquisition of electronic information at the control points of the pipeline and BATI were tasked to assist. A total of four reels with diameters of 5.5m and widths of 5m (two weighing 95tns and two at 72tns) were used in the operation. Additionally, 2 smaller reels with diameters of 2.7m and widths of 3m (each weighing 2.4tns) were also used. 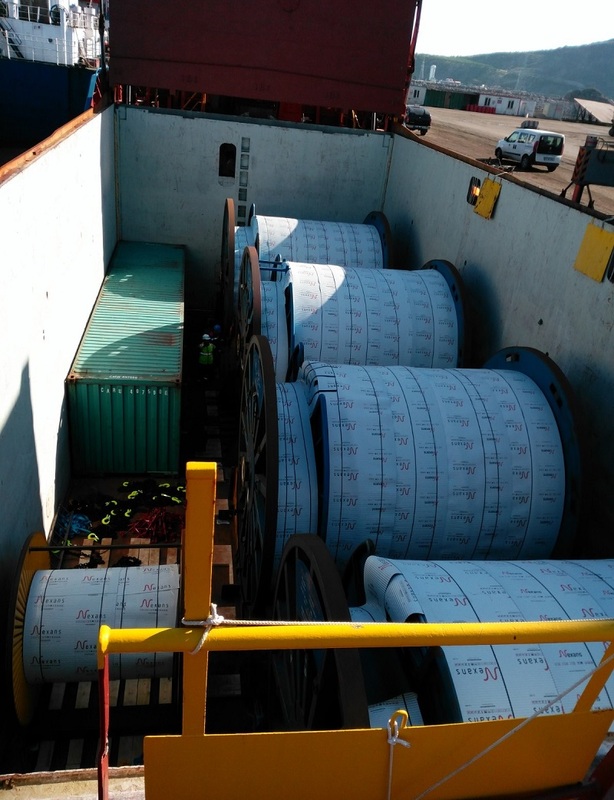 Mr. Oguz Cankur of the Project Operation department at BATI describes the job; “One of the challenges of this project was the fact that FOC is a unique, sensitive and very expensive product which must be transported with special lashing and care in order to avoid any damage. The FOC’s were produced in Norway whilst the reels were produced separately in Rotterdam, the Netherlands.